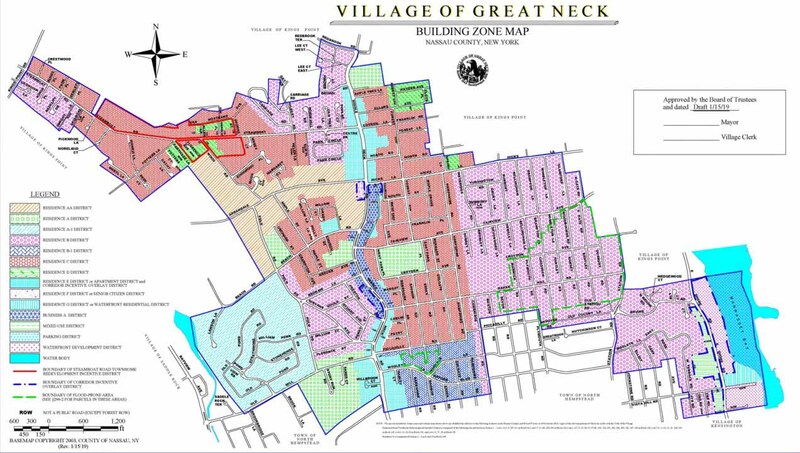 VHB presents its plan for expansion in the Village of Great Neck at the Feb. 5 meeting. 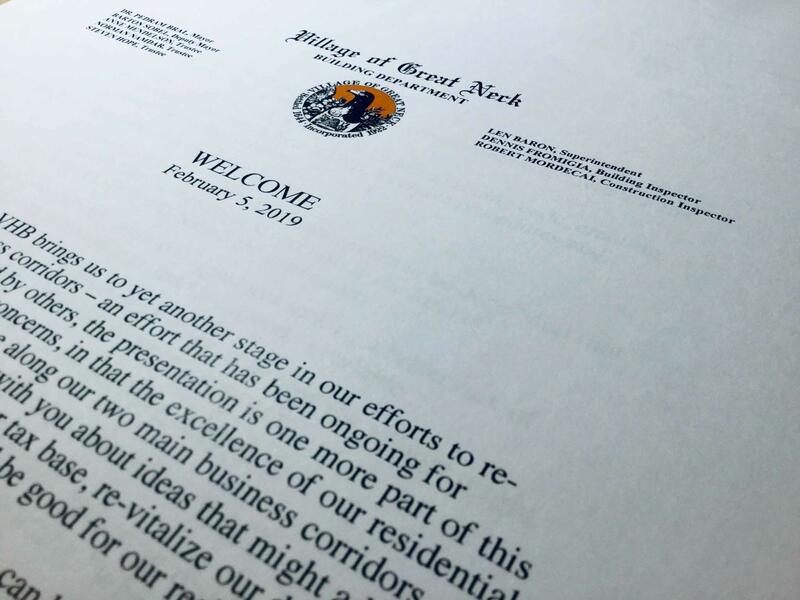 This past week on Feb. 5, VHB, the consultant hired by the mayor of the Village of Great Neck, made the public presentation to residents of VHB’s recommendations regarding the mayor’s sweeping plans to change the zoning on Middle Neck Road and East Shore Road. The proposed rezoning project would establish the Middle Neck Road Corridor Incentive Overlay District. VHB also presented a Draft Generic Environmental Impact Statement (DGEIS). According to VHB, the company found no adverse impacts in any category: no adverse impact to soil and topography, no adverse impact to water resources and air quality, no adverse impact to traffic patterns, but a positive impact on socioeconomics. VHB asserted several benefits from the rezoning project, including a projected decrease in traffic activity on both Middle Neck Road and East Shore Road. VHB also projected an increase of 149 students in the public schools, a number disputed by residents as being more than 10 times larger. Many residents are outraged by the proposed village plan. One resident said that the apartment complex Avalon Bay on East Shore Road was supposed to increase the student population by 6, but turned out to be 70. Using this as a measure, the resident said, the 149 students projected under the mayor’s plan would actually add 1,639 students to the school district and have a cataclysmic effect. VHB also suggested the project would create 230 jobs and increase housing stock. 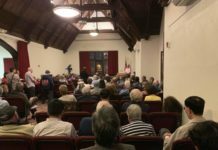 The village board represented the changes to the village zoning code as beneficial, but dozens of vocal residents voiced concern, opposition and even outrage. 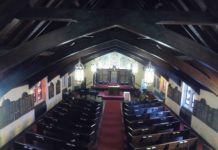 Residents claimed that the rezoning would only serve to crowd Great Neck further, morphing the suburban landscape into that of a high-rise city. Quoting the recently rejected proposed Kings Point expansion plan, several members advocated for a similar rejection. Great Neck Board of Education President Barbara Berkowitz voiced her concerns. In regard to the student increase, she questioned its negative effect on the current school budget as well as the increase in resources the school district would need to create. “Bigger is not always better,” she cautioned. East Shore Road resident Anthony Ambriano told the packed room, “Traffic jams are constant,” echoing what many residents described as an impassable roadway every day of the week. Another resident, Amy Glass, offered a comprehensive list of the services whose delivery and cost will be dramatically affected by the overhaul of the village zoning code—water, electricity, gas, police, garbage collection—and the negative impact on the schools and the roadways. Resident Julia Shields said her apartment complex has 20 vacancies, that East Shore Road is a disaster, and that the corner of Hicks Lane and Middle Neck Road is dangerous. This is where the mayor wants an assisted living building. 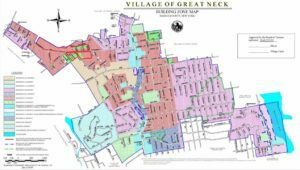 Berkowitz had said that two of the three assisted living homes in Great Neck Plaza have a considerable number of vacancies and there is no need to build another one. Several residents, Diane Namdar, Michael Hakimian and Kimber Simchayof, supported “revitalization” and spoke in terms of the need for graduating high school students and young married couples to be able to look forward to living in apartments in Great Neck that are new, not old. 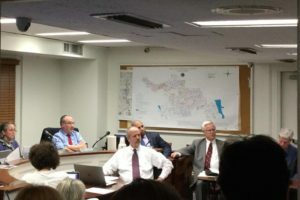 Josh Forst, former chief of the Vigilant Fire Department, brought to the community’s attention that the VHB study incorrectly identifies the Nassau County Police Department as being the primary medics for Great Neck’s assisted living facilities, whereas the Vigilants are the primary paramedics. Forst also said that traffic calming in the Village of Great Neck Plaza has reduced auto-versus-auto accidents, but increased auto-versus-pedestrian accidents. The Feb. 5 Board of Trustees meeting was scheduled for VHB to make a formal presentation of their proposals and to offer their opinions on the DGEIS. The next Board of Trustees meeting, scheduled for Feb. 19, was the only hearing night planned by the mayor. 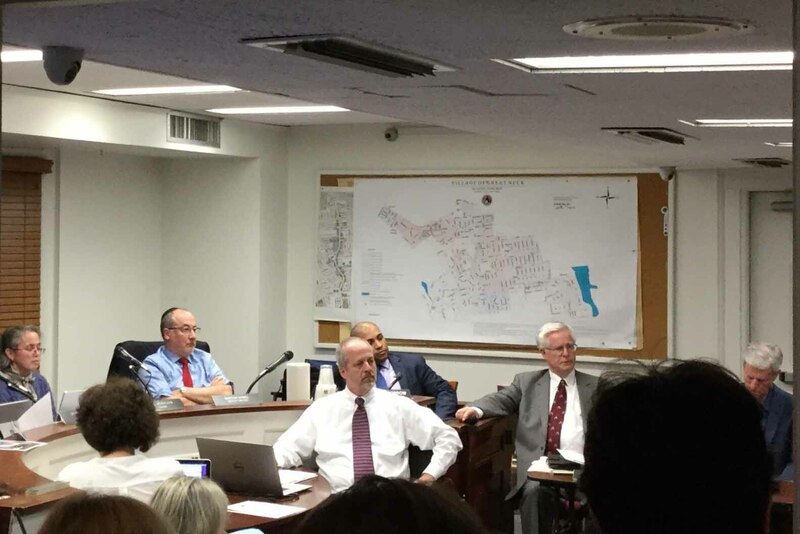 At the outset of the Feb. 5 meeting, resident Rebecca Rosenblatt Gilliar asked the mayor for a commitment to extend the hearing to more evenings so residents have time to read the hundreds of pages on this complicated rezoning plan just introduced to the community. At the end of the evening when the mayor spoke, he used the word “obstructionists,” though it was not clear which residents he was referring to. 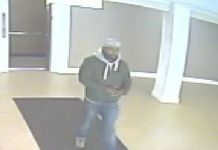 He did say the hearing would probably extend beyond the Feb. 19 hearing date. 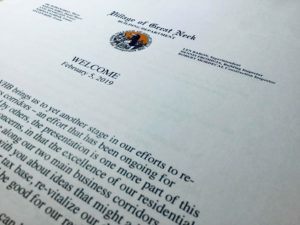 Residents were upset that the mayor had scheduled the unveiling of the rezoning proposals for Feb. 5, the Chinese New Year. In addition, the hearing date, Feb. 19, is in the week of the public school break when families will be away. The mayor needs to go. This proposed development is not in the best interest for the Great Neck communities. Direct solutions are needed for direct problems. The problem is sustainable and thriving retail along the corridor. The proposal does not offer a direct solution to the retail sustainability problem. It presents as a proposal a developer would be presenting and causes other impacts. The Village and VHB proposed is a “Rube Goldberg machine”. Change zoning –> Allows 1st floor retail –> Incentivize taller buildings with retail fronts –> ‘Hope for’ more residential and retail occupancy in the new / existing spaces –> Spend to implement traffic calming and other controls in anticipation –> ‘Hope for’ new business and resident occupants –> ‘Hope’ that the profile of new occupants are as forecast (# kids, etc.) –> ‘Hope for’ the new residents to patronize any new businesses –> ‘Hope that’ this will drive more businesses and residential occupancy and sustainability –> If not, vacancies possibly increase due to now additional units if retail and residential do not come / still aren’t sustained –> Penalize landlords for vacancies = ALL POSSIBLY LEADING TO exacerbated version of today’s problem. This is A LONG WAY AROUND for solution where current retail does not appeal to current residents and is not sustainable. Let’s just focus on the problem and bring in retail merchants that are sustainable and address the issues driving the high rent costs. Further, VHB does not highlight on their website any “Market Experience” for their business related to retail sustainability. Come on folks… we need the right players and a plan that directly yields results rather than something complex / controversial with NO guarantee to solve the problem at hand. Very disappointing that a proposal like this would be even considered. Thank you.